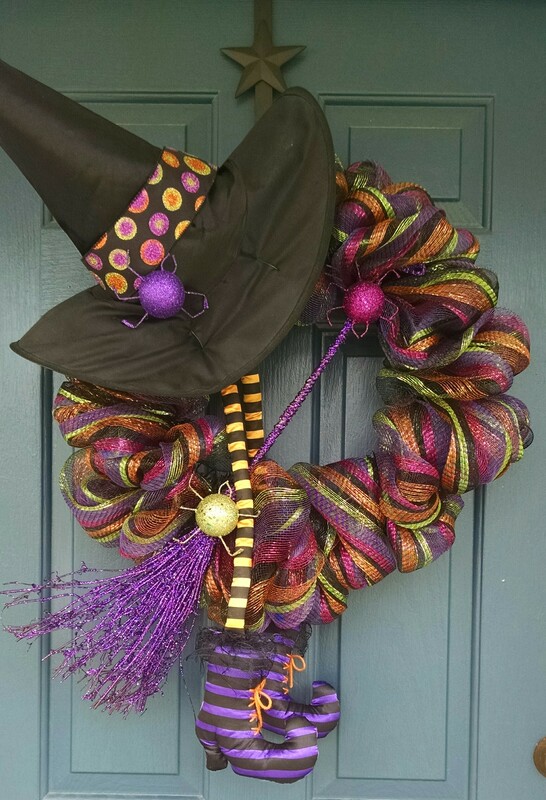 This witch’s wreath is just a little tease of what is coming up for the Fall and Halloween season. She is made with metallic deco mesh, and lots of glitter and shine to be seen flying high on those dark, windy evening skies in October. Cost: $65. Remember, Nesting By Robin can custom design your special autumn or holiday wreath along with garland. Together we can decorate your home inside and outside for the upcoming season. Contact me by email or personal message on this website. Stay in touch, there is more to come!